Hygger is a project management tool for agile teams that helps deliver projects faster and with better quality. From managing tasks and organizing project dashboards to reporting, time and progress tracking, Hygger has everything a team may need to move the project forward. All businesses whether large, mid, or small, entails numerous plans, tasks, projects, and people for it to be successful. Creating a solution to keep these business elements organized must be promising and profitable to enable it to bloom and flourish for years to come. streamlined and efficient. The reviews, pros, and cons laid out below will enlighten you why should you choose Hygger as your premiere project management software. Below are the significant features of HyggerWebApp which will help you improve your team performance at any given situation. Creating multiple processes at a single time and in one place makes this software the most significant and different among others. You can build project boards, insert tasks, and control everything in an entire single release cycle. Besides, this app includes a backlog board which allows you to round up and organizes ideas using swimlanes, columns, and labels. Also, priority charts enable you to filter time sinks and other critical matters that need prioritization. HyggerWebApp is a project management software that blends multiple boards which automatically sets criteria to organize together depending on the task classification. It includes a Kanban Board which is best for time tracking, sub-columns, and checklists. Lastly, Scrum is present as well that’s responsible for burndown charts, velocity reports, backlogs, and story point estimation. Hygger is also a software that allows creating checklists showing project and tasks due dates. It also includes assigning real-time duties to every team members and shows how they progress. 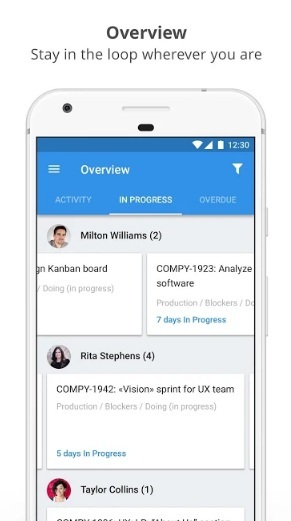 The app also gives a complete overview and summary of tasks in progress, behind and overdue tasks and every member work log. Every member and employees keep a conversation in real-time and is organized by utilizing threads with simple mentions in the commenting section. 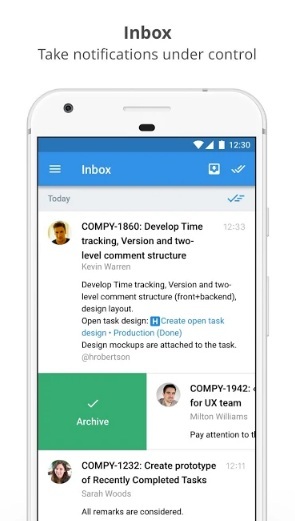 Hygger, just like other project management software present in the market, releases an updated news and app updates anytime without you missing it because of the notification ability via Hygger inbox. The things listed below would give you answers to the pros and cons that this project management software may entail. Here are the positive things that every Hygger user is saying based on Playstore Apps Reviews. 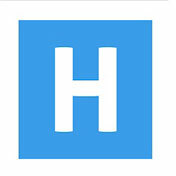 Hygger is an app for personal development. It is essential because it sets goals and allows real-time progress which isn’t found in most business management software providers. Swimlanes is the best feature that’s useful to every business owners and proprietors. Based on user reviews, here are the slight cons and few mishaps that Hygger must workout. Most features present on a mobile application is limited. The access to priority graphs and backlog boards would be limited. The app sometimes crashes when creating a project. Nevertheless, these minor glitches and bugs will be addressed in future updates. Every project management software created for different business sizes makes every task more effective and efficient. The collaboration of projects, internal and external communication, budget management, monitoring, and optimized decision making must be the primary goal of a software that aims to aid entrepreneurs. With this in mind, HyggerWebApp project management software does not only bring everything it promises but comes out as the clear cut winner in a wide field of cumbersome applications.